Say what you will, valid criticisms and all, but credit needs to be given to M. Night Shyamalan for his bold style of directing. Shyamalan is a risk-taker, which is a quality not seen in many mainstream directors nowadays. His career has had many highs and lows—sure. But his films, however great or terrible, reliably stir up conversation. Unbreakable and Split certainly achieved this, and Glass has the uniqueness and strange ending to keep the streak alive. Glass is the final installment of the Eastrail 177 trilogy which began 19 years ago. It stars Bruce Willis as David Dunn, James McAvoy as Kevin Wendell Crumb, and Samuel L. Jackson as Elijah Price, each reprising their roles from their respective films. The film takes place 19 years after Unbreakable (2000), and this time, all three characters find themselves in the same mental institution, and Elijah Price, known as Mr. Glass, intends to show the world that superheroes exist. Glass is refreshing in a superhero movie world dominated by the Marvel Cinematic Universe and the DC Extended Universe, but that does not mean the movie is perfect. Highest praises for James McAvoy, for he continues to intrigue and disturb audiences with his brilliant acting as a man with 24 different personalities. Samuel L. Jackson and Sarah Paulson (playing Dr. Ellie Staple) also shine on screen. Unfortunately, the same cannot be said for Bruce Willis. His character did not receive much screen time and he did not have many moments to impress. It was almost as if he was not a main character. It did not help that his character arc is nearly identical to the one he went through in Unbreakable. Acting aside, the film has ambition and tons of potential. Action scenes will entertain and thrill audiences. And though he incorporates a few too many POV shots that overstay their welcome, Shyamalan’s signature long takes are generally motivated and enticing. Cinematographer Mike Gioulakis deserves praise for consistently menacing visuals. In fact, the first two-thirds of the movie are thoroughly suspenseful and entertaining. Unfortunately, the climax serves the audience a plot twist that not only derails all the built up anticipation, but creates a new threat that is solved almost immediately. The plot twist makes logical sense, it is just too far out of left field. The final 10 minutes of the movie could have been its own movie, which only goes to show how off-track and disappointing the plot twist is. 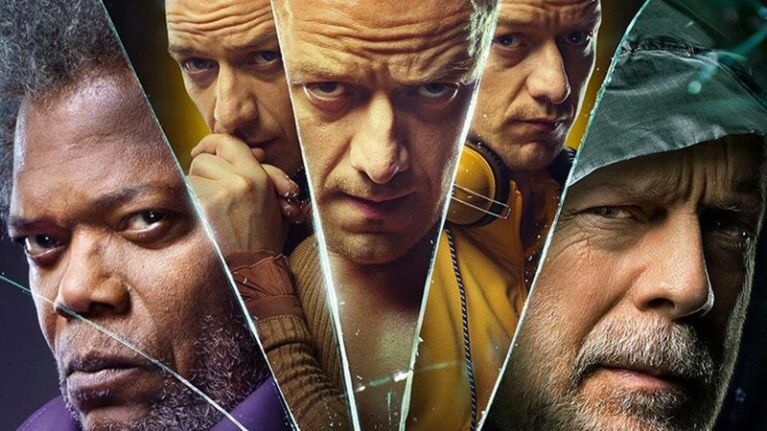 Though marred by its ending and other distracting inconsistency, Glass does offer a fresh take on superhero movies that feels well needed. This film is probably much more enjoyable if you’ve seen Unbreakable and Split, though for any superhero movie fan, it should offer something exciting nonetheless. Shyamalan is fighting for freedom of voice among a hyper-popular, glutted genre, and even when not every risk pans out, that does not mean they are not worth taking.